When you are downtown Cincinnati, there are lots of incredible dining options to choose from. 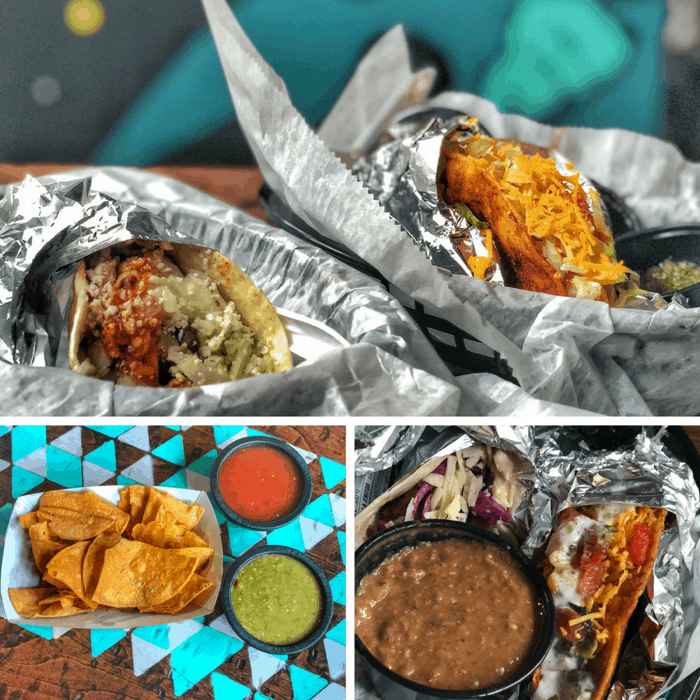 If you are attending a Cincinnati Reds game or watching the Cincinnati Bengals play, you now have a great build your own taco restaurant to add to your list. 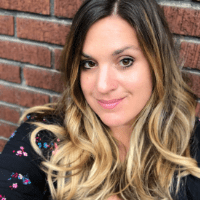 I’m sharing more about why I think that it’s worth checking out. This is a very different experience than a Chipotle-style restaurant. 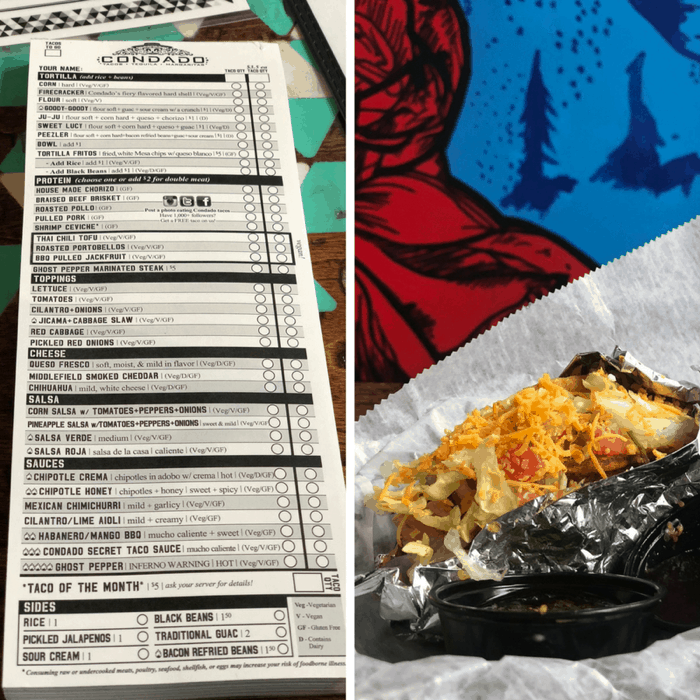 You still have table service and you are given a pad and pencil where you can choose all of the details of your dream taco. If you have picky eaters with you, this gives you the ability to make EVERYONE happy. 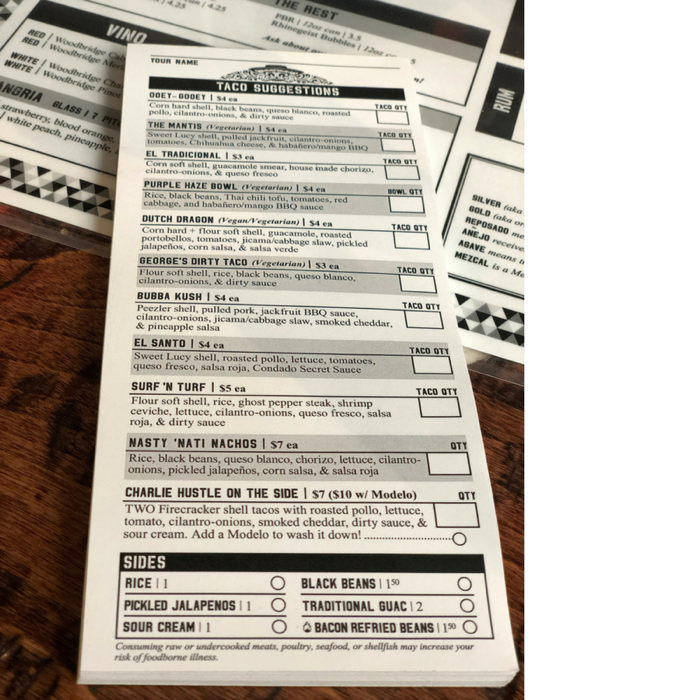 You choose your shell, protein, and toppings from an assortment of options. 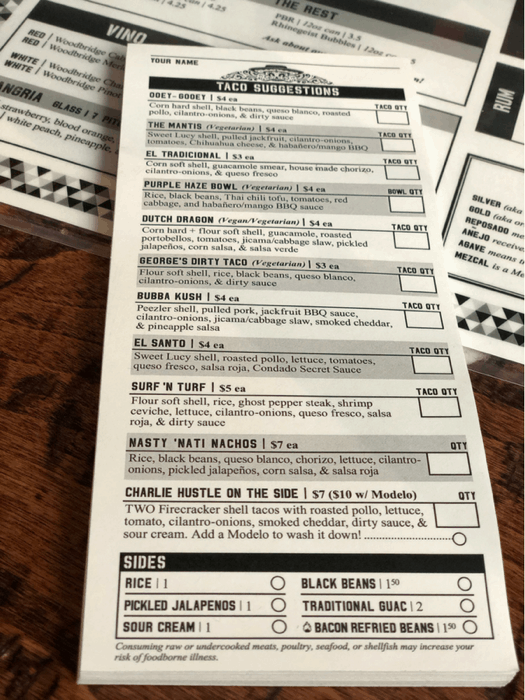 If too many options overwhelm you, you might have better luck starting with the specialty tacos and modifying from there. A few of my recommendations are the dirty queso, surf n’ turf taco, and Charlie Hustle on the side. 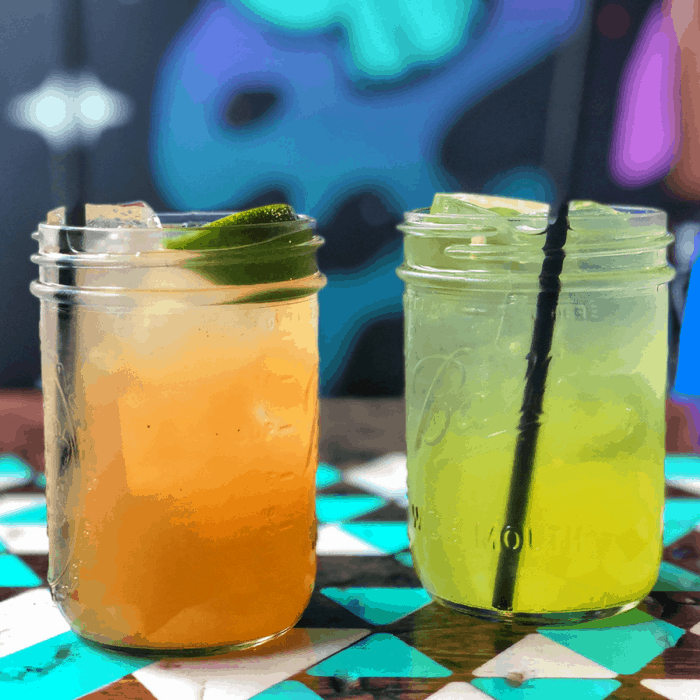 I tried the muddled jalapeno and my husband tried the peach. Other flavor options are Banana, Blackberry, Blood Orange Mango, Pomegranate, Strawberry. They even offer mini margarita flights if you are having a hard time deciding. 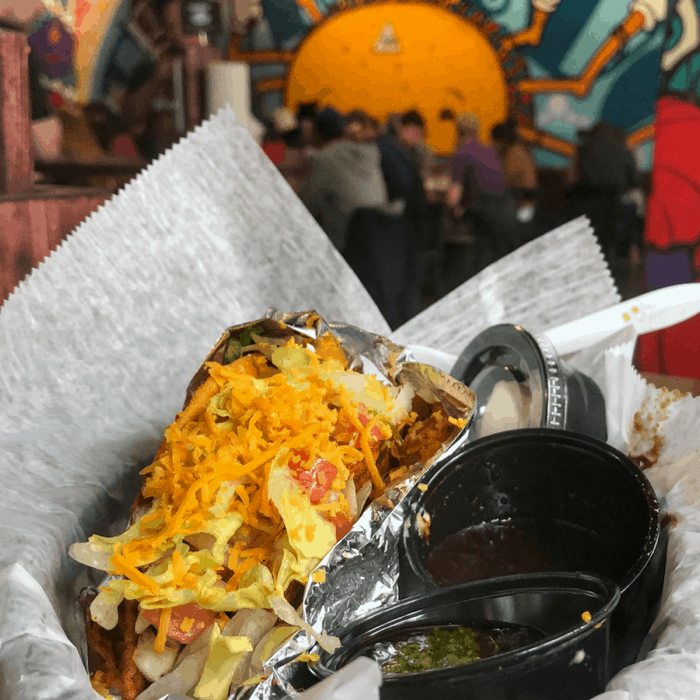 Given the location, you might expect to overpay for a taco. That is not the case here. 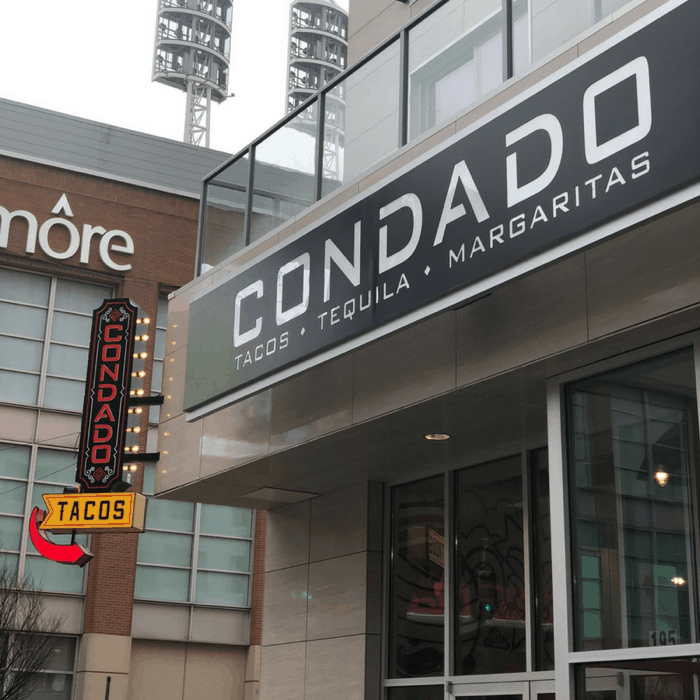 The prices are very reasonable which makes Condado Taco a great option for families enjoying a game or a visiting Smale Park and at around $3.50 a taco, you can’t go wrong. With a prime location across the street from Great American Ball Park, the restaurant has lots of seating which means shorter wait times even during the prime times. Street art always makes me happy, so I was really happy to discover such colorful murals covering every wall which makes for an even more vibrant environment. My husband has basically a 5 point sermon on the different types of taco establishments. Here are his thoughts on our visit that he shared on his personal Facebook page when we got home after our first visit. 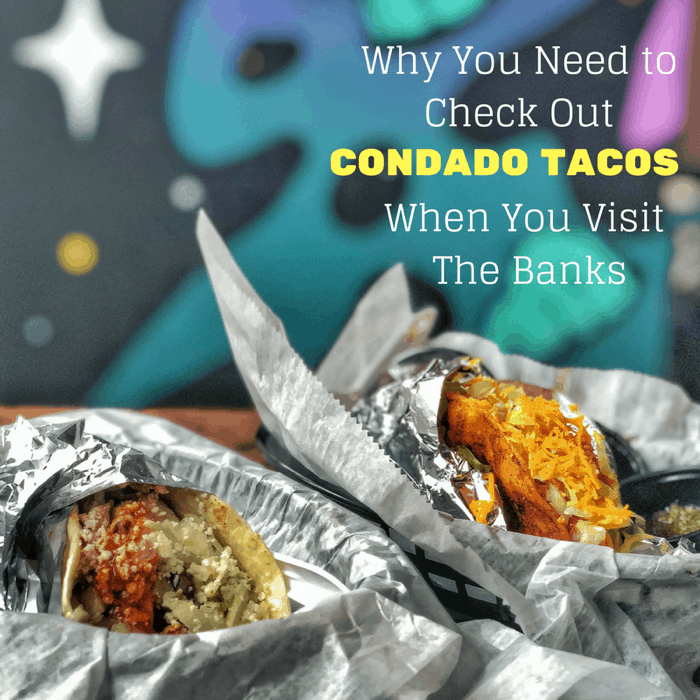 You can find out more about Condado Tacos from their website. 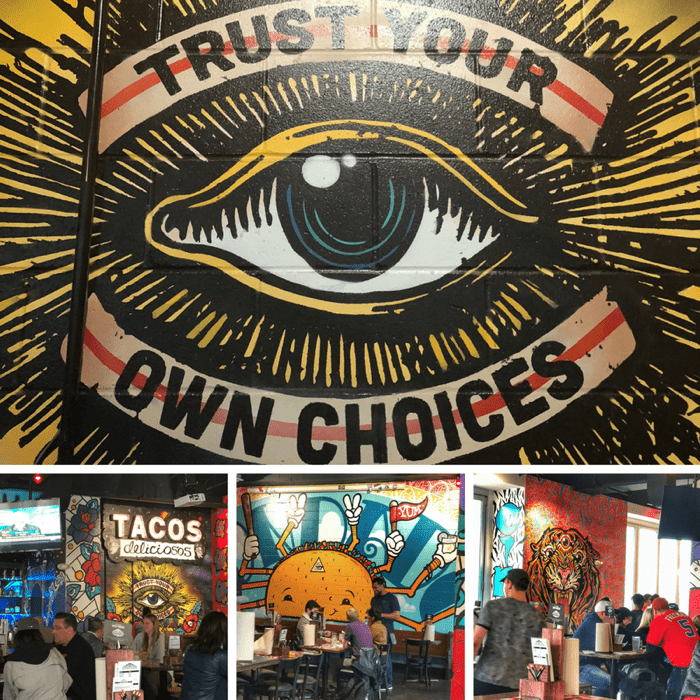 Thanks again to Condado Tacos for hosting our visit during their media preview. All opinions are my own.